What happens when you become too focused on promoting your social media posts? You tend to gravitate to advertisements and sponsored content – maybe because you think paid tactics are useful when you’re out there seeming to attract eyeballs among intense competition. Don’t get me wrong. Social media ads and sponsored content does work for companies. Many brands have reported a great ROI from these paid tactics. What I’m saying is that they don’t work for the majority. On top of that, those who get it right conduct a lot of A/B tests to design the perfect copy, perfect headline, perfect landing page, etc. That’s not possible for every business or individual. For instance, a small business may have the resources to a/b test 5 different social media ads to see which ad gets the highest click-through rate. But if that ad backfires in a real campaign, the business may be out of resources to run a new campaign or conduct another a/b test. There’s another problem. A survey pointed out that consumers’ trust in digital ads (including social media ads) is declining. On social media, they see these ads as an attempt to shove something down their throat. Sponsored posts are a risk on their own. A report revealed that brands are still figuring how to measure them. They’re totally different and new. And there’s no standard for what is considered successful and what is not. With all these developments, would you prefer paid social media tactics? Perhaps you would still like to try and see what happens, but before you do, know that there is a way to promote your social media posts without spending a dime. It’s no secret. You just haven’t given a thought to cross-promotion. Cross-promotion doesn’t require any investment and partners can successfully expand through one another’s social channels. With this tactic, you can gain a credible introduction to a new audience than with traditional methods of social media promotion. By the way, cross promoting is not cross posting. There’s a difference between the two terms. You can use a tool like HootSuite to share the same post across different social channels, but doing this doesn’t take into account the specifics of each platform. Cross posting, as a result, can make the audience perceive you as insincere, or just plain lazy. The message should be tailored towards each platform. Otherwise, those status updates on Twitter reading “I posted a new photo on Instagram –> http://bitly.ly/xyz” could easily make you lose credibility. The good thing about Facebook is that you can use a third-party app to add a tab for LinkedIn, Pinterest, etc. Users can click these tabs and see posts from other social channels, which is a way to promote those posts indirectly. Tabs appear under your profile’s cover photo. The audience can expand it by clicking on the “More” drop-down arrow (situated on the right). Consider these tabs as navigation bars for your other social channels, allowing visitors to browse all the posts they have to offer. They’ve created tabs for their Pinterest and Google+ pages. 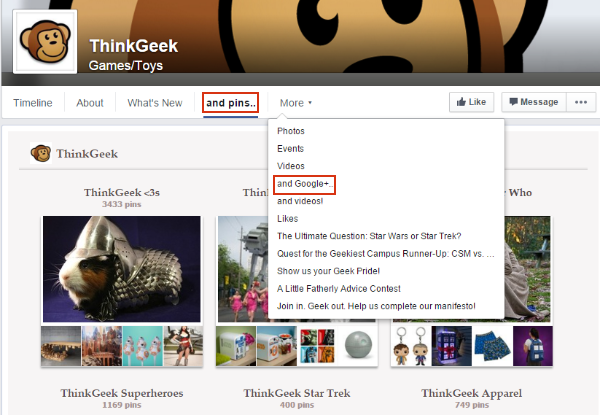 Users can click on these tabs and see ThinkGeek’s Google+ and Pinterest posts. Look for a brand that isn’t directly competing with you. When you find such a brand, you can partner with them to cross promote each other’s social media posts to respective followers. When doing so, both you and your partner should craft the description for the post in a way that relates to the particular audience. As for the content, you can create a post on behalf of your partner, post the content supplied by your partner, or co-produce a social media post. An example is Macy’s, a department store, and Special Books by Special Kids, a nonprofit. Macy’s recently shared a video and gave a mention to the nonprofit on its Facebook page. 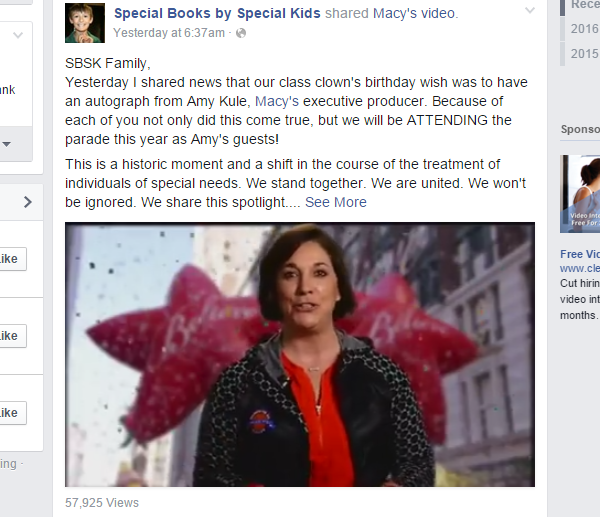 Special Books by Special Kids shared the post created by Macy’s on their own Facebook page. 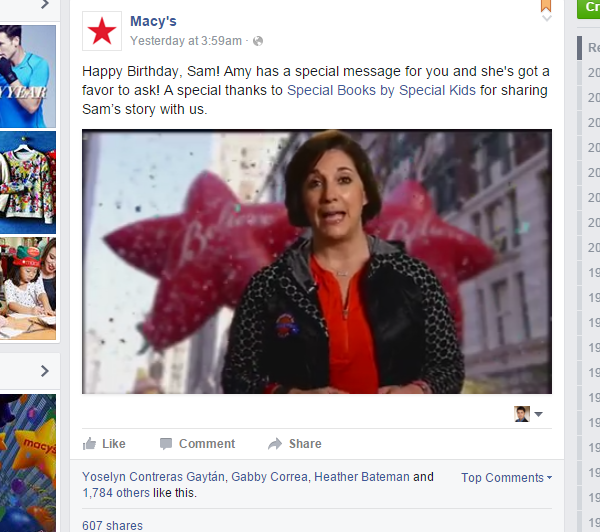 Special Books by Special Kids promoted the department store’s social media post, while Macy’s promoted the nonprofit’s Facebook page. 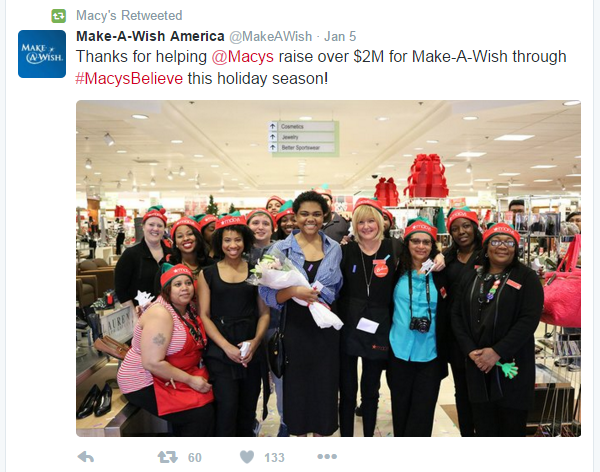 Macy’s also retweeted a post from Make-A-Wish-Foundation whom Macy’s helped raise over $2 million. Macy’s could have created a custom post on Twitter instead of retweeting the post from Make-A-Wish-Foundation. Nevertheless, it’s a great example of social media cross-promotion. Have you ever wondered how much visibility you could achieve for your social media posts by combining these two channels together? It’s one of the most strategic integration you’ll ever make. That’s because you probably use social media as a CRM tool to strengthen the connection with audiences before converting them. And you use email for the same purpose i.e. maintaining customer relationships and increasing customer retention. So with the same goals, these two channels integrate pretty well. This enabled the company’s email subscribers to check out the latest posts on social media and engage by participating, liking, sharing, retweeting, pinning, or leaving comments. Likewise, you can use social media to promote your email newsletter as well as grow your email list. To encourage people to subscribe, consider adding a newsletter sign up to your social media channels where possible. The two tactics will work well together as people first need to subscribe for the newsletter before they can read the content. 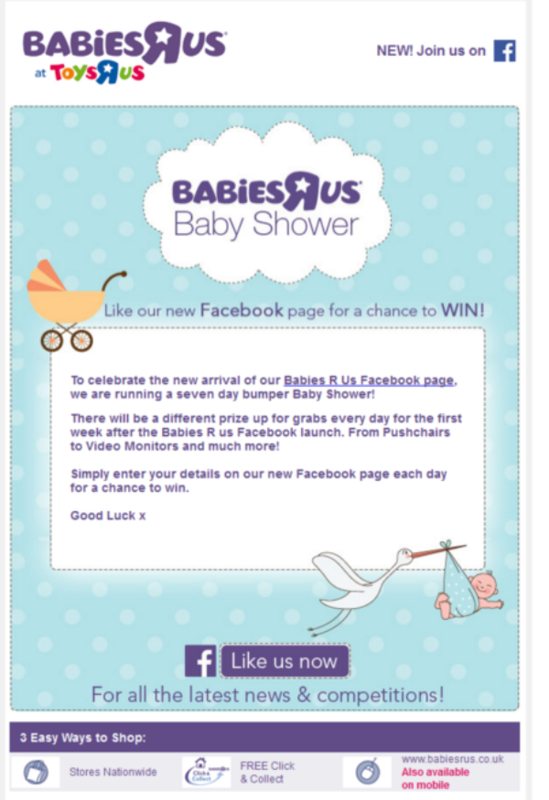 So you can get new email contacts by targeting your social media audiences. While people who regularly visit your website/blog will be following you on social media, there will be new visitors coming via search engines now and then. You can easily promote your social media posts to these new visitors. The same can be done on social media for your website’s or blog’s content (you’re probably doing that already). Visitors who follow you on social media without coming across your website/blog will know what you post on your native digital properties. If your website/blog is hosted on WordPress, you can use a plugin like Publicize to automatically send your content to your social media channels. Search Engine Journal has a great list of advanced tips on how to promote a blog post on social media. For promoting social media posts on your website/blog, you can just embed the posts, or display the latest ones in the side bar, or in another part of your website real estate. 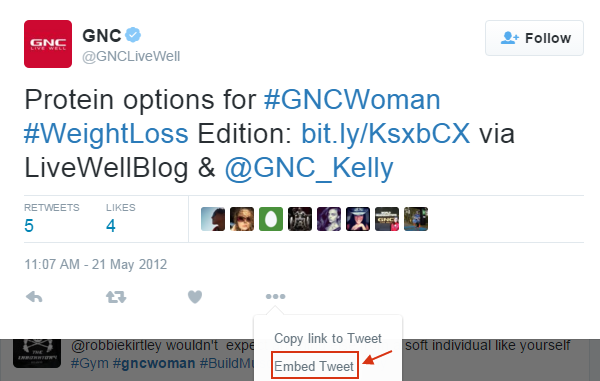 Here are some posts that teach how to embed posts from every social network on your website. 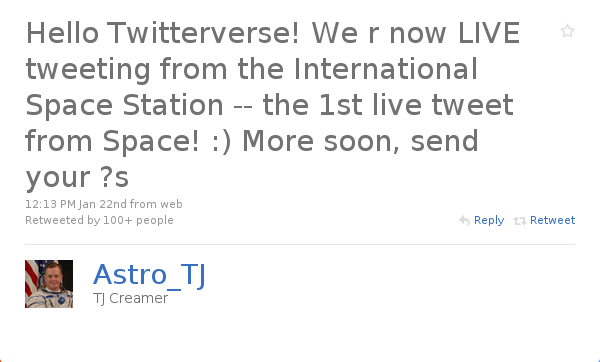 It’s easy to add social feeds via the embedded code (can be extracted via Twitter, YouTube, etc. ), but these posts tell you additional tricks for embedding social media content in your website/blog. You can sponsor a networking event or a small-scale conference depending on your budget and cross promote between offline and online content. There are several options when you utilize this strategy. You can make up collateral and mention your social media profiles and the most shared posts (on brochures, flyers, etc.). Then you can engage in live use of social media (live tweeting for example) during event proceedings. The latter will allow your social media followers to consume content from your event, while the audience at the event can follow you on social media and consume the current and future content. You can even use websites like MeetUp.com and attend meetings related to social media in your local area. Give out collateral featuring your social content while meeting new people, or feature someone you develop a friendship with in a live tweet. Whenever you engage in live use of social media, always remember to use hashtags. These are essential for getting a wider reach for your posts and making the audience familiar with your brand/style of content. Hopefully, these strategies will increase the reach of your social media posts. If you have time to implement them, you can increase post visibility at a fraction of a cost (you’re just required to make a financial investment in the 5th strategy) than paid social media tactics. What are your thoughts? What tactics are you using to cross promote your social media posts? Feel free to leave comments. Fantastic article, Dan! You’re absolutely right – paid social media ads aren’t for everyone. And the majority of people that try them won’t succeed. I think a good majority of those could have succeeded with the right person setting up the ads – an expert is an expert for a reason 🙂 Also – a lot of times they fail because they don’t really know their customer. You have to know your audience for Facebook ads to be effective – which isn’t really the cause for something as algorithmic as AdWords. Excellent article there. The tab information on Facebook is really helpful. Regarding Facebook promotion, one should take into account two things. One ,people login to Facebook with various mindsets and not always in right mood to buy a product of hire a service. Two, targeting the right audience can be daunting if one does not know whom to target. For Facebook it is like shooting the arrow with a hope of getting a good ROI. With Adwords, it is the reverse, the arrow comes right to you and it is your job to convert it to sales. Comparatively Adwords is miles ahead. I don’t mean to derail this conversation, but I just noticed this blog isn’t responsive. Is that intentional? I’d have expected ET to use a responsive theme for their blog, to show off your themes’ functionality, but maybe there’s a reason you aren’t? Yeah, i notified them about it before, got the response it was on the agenda. Fantastic article. Very informative and useful. Thankyou, Dan. Great article! There’s a reason indeed why the elegantthemes newsletter is one of the few I really read and keep. Good article. I just tend to schedule posts through hootsuite to promote other social media channels. Excellent article. In working with Divi for WordPress.org, I also found Publicize connected to a WP.com account was the best way to go. This would be cross-posting not cross promotion right? It should also be mentioned the importance of going into each social media channel to engage those in that channel (cultivate that channel as an individual) as another reason to cross promote, not just cross post. Using publicize to auto-share posts is cross-posting right? The reason it is important to cross promote and not merely cross post is so that the various social media profiles and their respective relationships can be cultivated as individuals thus making more meaningful connections. Twitter is my favorite social media to promote my blog. There are so many opportunities and tools connected, it’s a must for every internet marketer! You offer some great strategies here. And if I may add a bit to your suggestion about integrating email with social media, people’s email signatures are also a fantastic way to share content and direct readers to the sender’s social media accounts. Using a signature app like WiseStamp, you can have your latest blog post or tweet appear under your signatures, which is a great way to help drive traffic.